TOKYO -- Toyota Motor Corp. will elevate U.S. executive Julie Hamp and add Europe boss Didier Leroy to its board in a wide shuffle aiming to inject more diversity into the world’s biggest automaker. The overhaul also consolidates power in North America under regional CEO Jim Lentz, who will also assume oversight of the region’s sprawling manufacturing operations. At the headquarters in Japan, President Akio Toyoda promoted Leroy, currently the carmaker’s CEO for Europe, to executive vice president and appointed him to the board. Leroy will also take over as global head of Toyota’s business in developed regions such as the United States, Japan and Europe. The sweeping assignment, as head of Business Unit Toyota No. 1, also covers r&d, Africa, product planning, motorsports and design. That reassignment is effective April 1. Leroy will take over duties previously split between executive vice presidents Mitsuhisa Kato, Satoshi Ozawa and Masamoto Maekawa. Ozawa and Maekawa will both retire. Kato remains an executive vice president on the board. 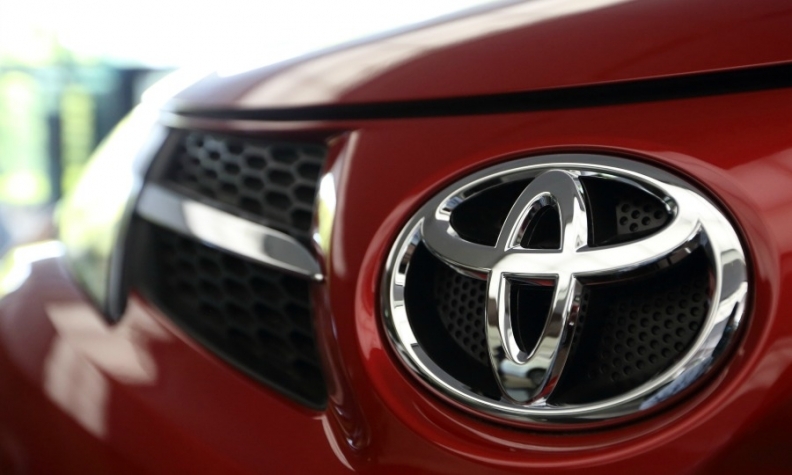 In addition, Toyota named its first African-American managing officer at the global level. Christopher Reynolds, general counsel and chief legal officer for Toyota Motor North America, will be promoted to the newly created global position of general counsel and chief legal officer. The changes, announced in a statement today, are part of the company’s annual spring management review. Pending approval at the company’s June annual shareholders meeting, Leroy will be the second non-Japanese executive on the company’s 12-member board, after the 2013 appointment of former General Motors executive Mark Hogan as an external director. Leroy, a French national, will remain based at Toyota’s European headquarters in Brussels. Hogan was the first non-Japanese board member since Jim Press, who left the company in 2007 to join Chrysler. But Leroy is the first non-Japanese internal director since Press and the first non-Japanese to reach the level of executive vice president. Press climbed only as high as senior managing director, and the board during his tenure was twice as big as today’s. “By appointing talented people from affiliates outside Japan to executive positions, Toyota aims to foster innovation by enabling people from many different backgrounds to contribute and provide input,” Toyota said in the statement. Johan van Zyl, who is currently CEO of Toyota’s Africa region, will add to that portfolio Leroy’s duties as CEO of Europe. Toyota also elevated Hamp, currently a group vice president for Toyota Motor North America, to managing officer at the parent company, making her the first female to rise to that level. In that role, she will oversee external and public affairs with the title of chief communications officer. She will be based in Japan. Prior to joining Toyota, Hamp was a 25-year veteran of General Motors. She was part of the Saturn team that worked with retailers to develop the brand's customer experience with no-haggle pricing and vehicle-delivery celebrations. She was communications director for General Manager John Smith during the brand's turnaround effort. Hamp also led GM's marketing divisions in North America. Hamp also worked at GM's division in Europe as well as Africa and the Middle East. She joined PepsiCo in December 2007 as chief communications officer, then moved to Toyota in 2012. The management changes give broader responsibilities to the top echelon of six executive vice presidents and hand greater decision-making authority to other managers, the company said. “This will enable prompt decision-making by allowing the heads of business units, regions and key functions to make proactive decisions based on realities on the ground,” the automaker said. Among the executives leaving the board are global design chief Tokuo Fukuichi and Koei Saga, a key r&d executive. Fukuichi’s appointment to the board last year made waves by indicating Toyota would give new clout to its design studios. While he leaves the board in the latest overhaul, he will keep his roles as design chief and president of Lexus International. Saga will be promoted to president of the Unit Center that develops Toyota’s global powertrain technologies. He is currently vice president of that operation. In North America, Lentz takes manufacturing under his umbrella as the company consolidates its operations through a move to a new regional headquarters in Plano, Texas. Osamu “Simon” Nagata, who currently runs Toyota Motor Engineering & Manufacturing, North America, Inc., out of Kentucky, will hand off that responsibility to Lentz and become an executive vice president of Toyota Motor North America. He will take on a new duty of orchestrating the company’s move to Plano and implementing the One Toyota initiative aiming to integrate the company’s far-flung North American businesses. Osamu Ushio, currently senior vice president for manufacturing, TEMA, will report to Lentz as executive vice president of TEMA, overseeing all production in North America. Seiya Nakao, now president of the Toyota Technical Center with responsibility for all North American engineering and R&D operations, will report to Lentz. Sandra Phillips, vice president and deputy general counsel, TMS, will take over as general counsel and chief legal officer, making her the first African-American woman in this position. Scott Vazin, vice president of corporate and regional communications, will become chief communications officer for North America, covering marketing, product and brand communications, corporate reputation, investor relations and corporate advertising. Réal “Ray” Tanguay, chairman of Toyota Motor Manufacturing Canada and Toyota Canada Inc., and president of Canadian Autoparts Toyota Inc., will retire after 24 years at the company, effective March 31. Al Hossack, now vice president of Canadian Autoparts Toyota Inc. will be become president. Lentz said the changes will help streamline the company’s North American operations and give it a louder voice in Japan through the advancement of Hamp and Reynolds.